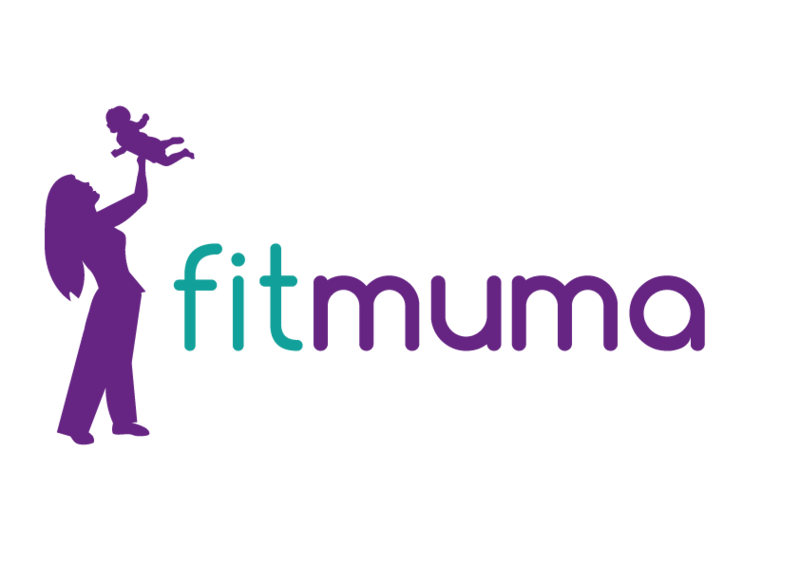 Join our friendly and supportive community of aspiring Fitmuma’s. 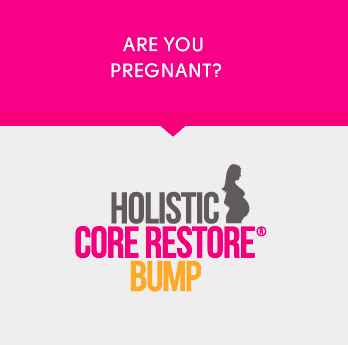 Welcome to Holistic Core Restore® BUMP! A forward-facing and innovative (whole body) Pelvic Floor and Core Training programme where you are ALWAYS safely guided by an AMAZING COACH. HCR Bump is for those of you who want to get and stay stronger for the ‘job’ of Pregnancy, prepare for birth deeply and get ready for the role of their life as a new mom! 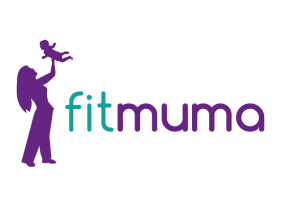 ‘Bump’ is an integrated, functional movement small group training or 1-1 programme, specially designed to keep the mom-to-be strong, mobile and pain free throughout her pregnancy and get her ready for ‘mom-life’. We’ll get you re-acquainted with your Pelvic Floor and the rest of your Core, help you exercise safely and meaningfully throughout the Trimesters and truly get you ready and match-fit for your ‘big day’. Are you a Pregnant woman who wants to safely get or stay fit during Pregnancy and prepare for your birth with a passionate and highly trained/experienced Coach? Do you want to know more about your Pelvic Floor, Core and overall health AND feel empowered during your Pregnancy exercise? Have you experienced the odd leaky Pelvic Floor incident during your Pregnancy and know NOW is the time to take control? Are you a woman that wants an easy to perform ANYWHERE, modern and effective way to strengthen her Core and Pelvic Floor and re-establish its role as part of her whole body during Pregnancy? Do you have ‘lower back pain’ issues that you’ve been told is due to your posture changes during Pregnancy? Are you ready to prioritize your health and fitness now for the benefit of your baby and learn ESSENTIAL skills to last you a lifetime? Are you ready to learn the importance of ‘rest’ and ‘self-care’ as part of your wellness journey? Do you want to prepare for your Post Natal period to ensure a deep and full recovery after birth? Do you want to understand the basics of ESSENTIAL NUTRITION for both you and your baby during your Pregnancy and understand the power of ‘just eating and preparing real food’? On application to your chosen Coach to join the programme, you’ll be asked to complete our HCR Red Flag Pregnancy Exercise Pre-Screen to decide if this ‘conservative’ exercise-based programme is right for you. If you’re a great fit…..
You’ll then meet with your Coach and go through a hands-on Pre-Screening which includes tests for your Postural Alignment and Pelvic Floor function/Core connection so that we know where you are on your Pregnancy journey and the programme can truly be tailored to your needs. You’ll then be all set to attend for your first session where you’ll receive your HCR Client Education Booklet and the items of fitness kit required for the course plus you will undergo an analysis of your goals and how best this programme can be tailored for your bespoke needs. You’ll receive your login details for the HCR Online Platform via email which will allow you to log in and view your additional filmed homework which you’ll love and is delivered by Programme Creator Jenny Burrell. Your activity in between sessions is an essential part of the puzzle and when followed in concert with your face-to-face coached session will truly improve your results and the value you derive from the programme. This programme runs for 6 or more weeks and you will meet with your Coach once per week and complete your Online Pelvic Health homework, which is approximately 10 mins in duration and very simple to fit into your day and typically your Coach will ask you to complete the Online content between 3-4 times throughout your week. For your convenience, the platform can be viewed via all mobile devices as well as table top computers. The homework exercises vary, phase to phase and so over the course of your programme, as your strength and co-ordination improves, the exercises will be modified to ensure that you are still challenged but safely. You can follow this programme either live or via Skype, and as part of a small group of women or 1-1 with your coach. What Happens In your class/PT session? This class is a most delicious blend of our unique ‘Releases’ – we’ve redefined ‘stretching’ and mobilization to create something that will be very well received by every Pregnant woman. We include ‘functional training’ to get and keep you strong for your ‘grand finale’ and your Post Natal journey. We work on your Core and Pelvic Floor. We get you prepared for birth with Pelvic Mobilization and a range of specific mobility exercises to encourage a shorter labour. We teach you how to deeply connect to your breath and simple DEEP relaxation strategies. We teach you simple mobilizations to keep you moving painfree throughout the Trimesters. We educate you about the early Post Natal period – the 4th Trimester – and ensure that you have your early day support system in place before the baby comes. Overall, a modern, practical, nurturing and supportive time for the mom to be that will support you all the way to your baby’s birth date! Get in touch, you’ll love it! If you are currently pregnant and would like any information about any of our pregnancy sessions or simply have any questions, just Click below now. 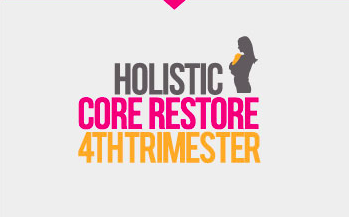 Welcome to Holistic Core Restore® 4th Trimester! A Programme created to SUPPORT YOU THE MOTHER! After decades of serving and working with moms, we found that so many women were confused as to what they should and shouldn’t be doing in the very early weeks and months post birth because quite simply, the information and care offered is usually directed mainly towards the health of the baby and many moms are left relatively unsupported. The Holistic Core Restore Programme – ‘4th Trimester’ aims to redress the balance and provide AN ESSENTIAL ‘in between programme’ full of supportive, nurturing advice for the new mom in this important restorative and deep self-care period. Guided by your Coach, you’ll be safely advised on gentle core re-connection, effective and time-efficient self-care strategies, organising your maternal support system and start building the strong foundation required for your return to formal exercise alongside being advised on vital nutrition for a deep Post Natal recovery. Are you newly Post Natal and feeling that you need more support in your role as a mother and the practicalities of the early days? This programme will help. Are you coming towards the end of your Pregnancy and want to be as prepared as possible in your early Post Natal days? This programme will help. Do you need help organizing your Support Systems and the people who can help you so that you have the time and space to truly recover? This programme will help. Are you unclear about how to perform the Pelvic Floor exercises that you were told to perform? This programme will help. Have you developed aches and pains because of the changes in your postural alignment and need help to get comfortable in your body again? This programme will help. Do you want to learn how to make a nurturing ‘Babymoon’ for you and your baby where you deeply focus on both of your deepest needs and connecting? This programme will help. On application to join this offering, you’ll be asked to complete our HCR Red Flag Pre-Screen to decide if this programme is right for you or whether you need clinical attention. If you’re a great fit…..
You’ll then meet with your Coach and go through a hands-on Pre-Screening which includes tests for your Core Function (we check you for Diastasis and the synergy between your breath and Core if you are early Post Natal) so that we know where you are on your recovery journey and the programme can truly be tailored to your needs. If you’re coming to the end of your Pregnancy, this programme will be extremely useful to help you prepare for your early days at home with your baby. You’ll then be all set for your first session where you’ll receive our unique HCR 4th Trimester Client Education Booklet and be taken step by step through the programme which involves deep guidance on how to nurture yourself through healing nutrition and simple changes to your environment to support your recovery, from the inside-out, in this early Post Natal period. Your Coach will also guide you through out HCR Healing Nutrition Principles in a manageable way to ensure that you are clear on easy strategies that will move you towards deep healing and recovery. This offering is utterly bespoke and your Coach is taught to completely tailor their advice to your needs and ‘meet you EXACTLY’ where you are now by supporting this lifephase with real-world solutions from pushchair ergonomics and finding the right cushion to support your breastfeeding to helping you to nail the essential nutrition you require to support your healing process.